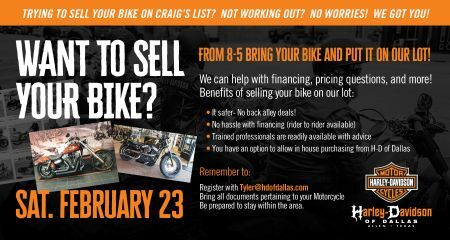 Home › Events › Sell your Motorcycle EVENT! Why Choose Harley-Davidson® to Sell Your Used Motorcycle? Have you been trying to sell your used bike on Craigslist? Not working out? NO WORRIES! We got you!